If you spend time outdoors in the Midwestern U.S. you will likely come across Poison Ivy sooner or later. If you’re careful, you can avoid getting an itchy rash by taking a few simple precautions. But did you know the Midwest is home to a variety of other poisonous plants? Some cause a rash like Poison Ivy, but some can cause serious burns. Some can even be fatal if ingested – including one most infamous for it’s association with the Ancient Greek philosopher Socrates. The common poisonous plants we examine here fall into two families, the Anacardiaceae (Cashew Family) and the Apiaceae (Carrot Family). 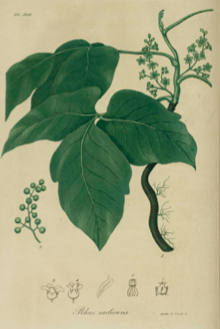 In our region, poisonous members of Anacardiaceae are represented by poison ivy and poison sumac, and toxicity manifests as contact dermatitis (an itchy, weepy rash) with varying levels of severity. 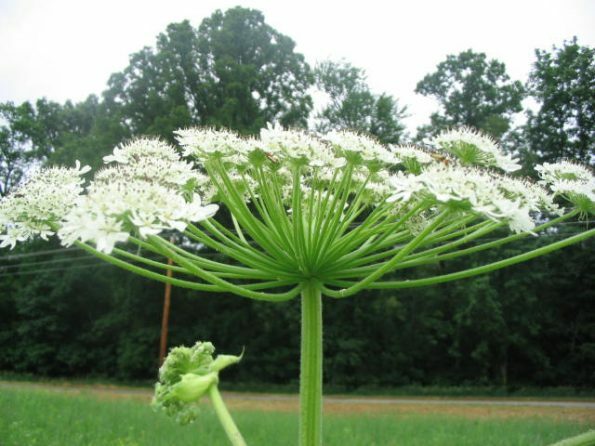 There are many poisonous members of Apiaceae, including poison hemlock, wild parsnip, water hemlock, and giant hogweed. Toxicity in this group manifests in several ways, from contact phytophotodermatitis (weepy rash/burn) to respiratory failure and death. These poisonous plants vary in distribution and abundance, but many are extremely common within the human environment, such as roadsides and agricultural edges. We have prepared a brief guide to these common poisonous plants with photos, drawings, tips on how to identify, and how to avoid these interesting, but at times, dangerous plants.